We’ve seen that Resident Evil 7: biohazard had everything that fans could want in a new style of horror game. Now after the full game has been available for some time Capcom has begun releasing DLC in the form of a few packs called Banned Footage. 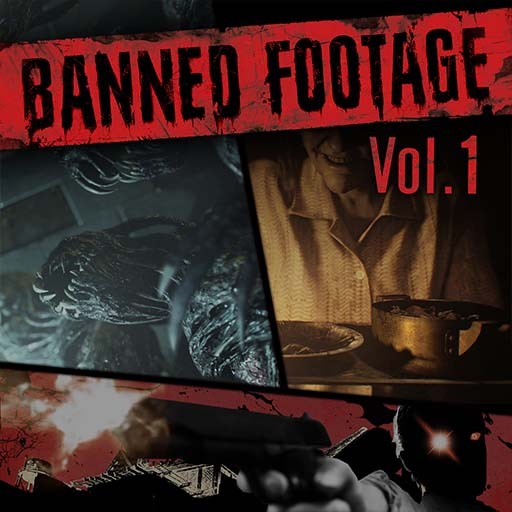 Now is the Banned Footage Volume 1 a worthwhile pack of DLC to add onto the experience or is it something to pass over? In interesting fashion Banned Footage’s first batch of content is a mismatch of modes that may entice you to play some more than others. There is an escape the room game with deadly consequences, a survival mode, and one that masochists will truly get a kick out of if they found the game’s Madhouse difficulty as something that wasn’t quite challenging enough. The first two modes come in the form of videotapes, the little add-ons that players could, more or less, avoid or choose to play through during the main story mode. As mentioned before, the first of these is titled Bedroom and follows the story of poor Clancy, the camera man that we’ve taken control of more than a few times already, as he is strapped to a bed and forced to eat some of Marguerite Baker’s good ol’ home cooking. Not one to stay around and eat some rancid human stew Clancy takes the first chance he can get to try and escape from Marguerite’s clutches once she leaves the room. The problem is, there are a number of difficult puzzles standing between him and possible freedom and more than a few of these result in some rather loud noises being made. Many of the puzzles themselves aren’t devastatingly hard and once you get through them a few times it is easy to maneuver through them at a fairly brisk pace. The real challenge comes from the nail biting noises that I’ve already mentioned. Whenever a loud noise is made Marguerite will head back to the room and while you may initially think that it’s all fine and dandy to sit down in the bed, if she sees anything out of place she’ll take it out on Clancy and you’ll end up with a game over. The game is a bit forgiving in this aspect since players are usually given a timer to know how much time they have to quickly throw everything back to where it was and place themselves back into the bed but the fact that players will need to memorize every little detail makes this mode not only a fun challenge for puzzle fans but also one that delivers a lot of tension. The only problem with it is that outside of going back for collectibles, once you’ve managed to escape you’ll rarely want to drop back down into this mode. Herein lies the other playable VHS tape, Nightmare. 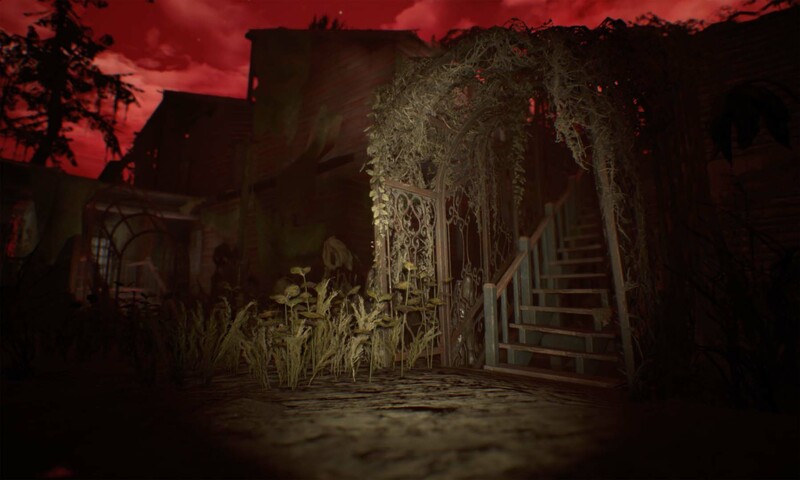 This mode once again features Clancy trapped in a location, only this time it happens to be the basement of the Baker family home. Clancy must survive until dawn against multiple waves of Molded and even Jack himself while utilizing scrap that is generated from various spawners in an effort to scrounge together enough weapons, ammo, and healing items. Scrap can be used to create various weapons as well as purchase upgrades to weapons and even Clancy’s health though you may want to be careful about spending it too quickly as the price increases the more you purchase ammo. As you fight against enemies the waves will grow more difficult with Jack coming at you with various dangerous weapons and players will need to be fast on their feet to keep some distance while also utilizing their environment. I say this because there are various turrets and mines that players can purchase using scrap in an effort to stave off their attackers. 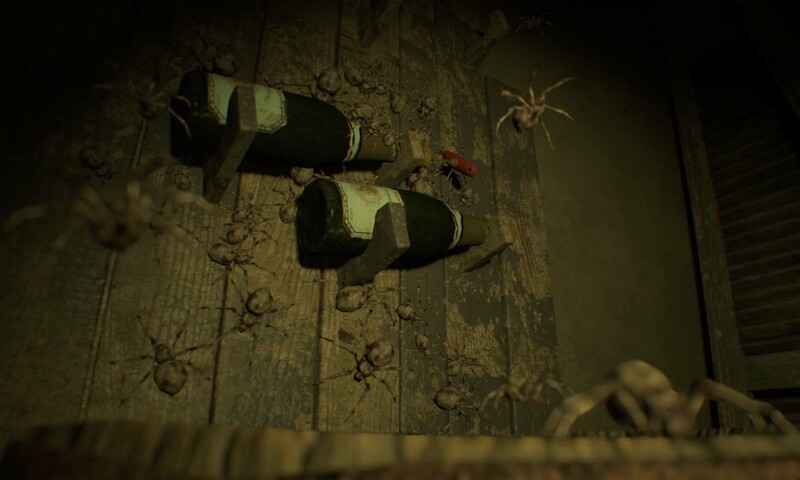 The chances of making it through your first few tries are slim but the more you play Nightmare the better rewards you’ll be given. Players can unlock additional weapons that can be purchased at the scrap workbenches, unlock new traps to unleash on the Molded, and even obtain a few starting bonuses that will give you something of a starting edge. 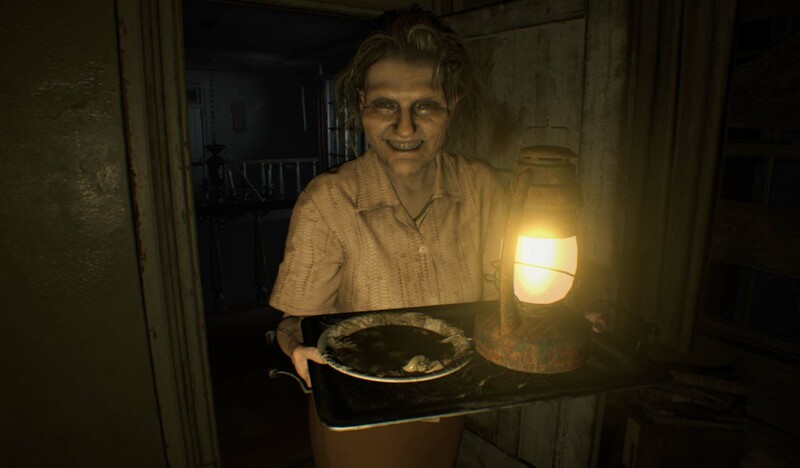 Once you manage to make it through the standard Nightmare there is a harder but fairly doable mode called Night Terror that cranks the difficulty up a notch but leaves things fairly standard. Now for the bonus mode, this one happens to be called Ethan Must Die and as one would expect from the name, it places players back in the shoes of Ethan Winters in a mode that is truly masochistic. Armed with only a knife beneath a blood red moon, Ethan must obtain a key from inside the Baker’s home in an effort to unlock the greenhouse while obtaining random items along the way in crates and facing off against tons of Molded that can deal enough damage that you will more than likely die in a single hit. As one would expect in this mode, you will die, a lot. In fact this mode features a bit of a roguelike element where the player will drop one random item that can be picked back up if they make it to where they ended up dying. Unfortunately thanks to the random nature of this mode you may end up with something completely useless. This mode makes for some of the hardest moments in the game even once you manage to figure out exactly where the enemies are every time as their positioning does not change. Instead you’ll need some good luck on your side to survive and while this may be a great mode for diehard fans eager for a challenge, it is easy to pass this mode off as more annoying than enjoyable. The first volume of Banned Footage in Resident Evil 7: biohazard is as mixed of a bag as you’d expect from the gameplay options available here. Figuring out the escape room is a blast of true puzzle solving fun with a tense atmosphere that dwindles after the first successful completion while fighting against waves of enemies feels as enjoyable as ever with more rewards the further along you get only for the extremely hard Ethan Must Die mode to feel like more of a kick to the gut with its random nature leaving the player’s fate up to luck more than skill at times. As such, this DLC does offer quite a bit to do but not every mode available here is a winner so be prepared for that if you happen to dive into the Banned Footage’s first volume. 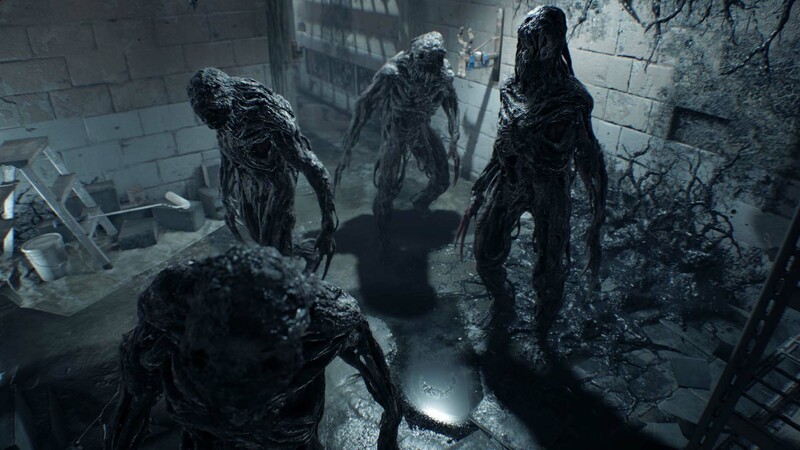 With Resident Evil 7: biohazard’s first volume of Banned Footage delivering a nice mixture of modes players will find the survival mode to be quite enjoyable and eager to test their wits in a satisfying puzzle room. It’s just a shame that the Ethan Must Die mode is designed for only those who truly want to punish themselves for very little reward.